Obituary for Gladys M. (Perry) Hall | Bell Funeral Home, Inc.
Gladys May Hall,95, of Providence, RI passed away on January 14, 2019 at home surrounded by her loving family. She was the daughter of David Perry and Glora Lassiter. She was married to the late Thomas V. Hall for many years. Mr. and Mrs. Hall were entrepreneurs for many years. They owner Gladys Penny Candy Store in South Providence, RI. 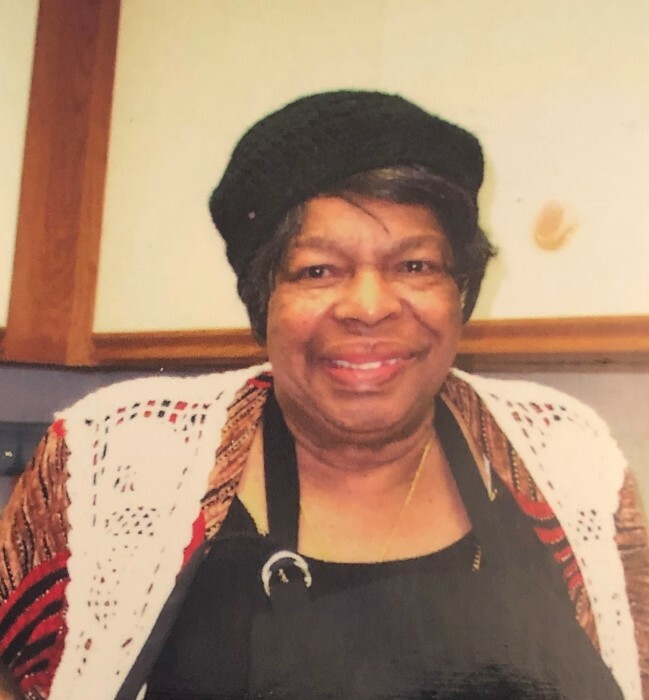 After retiring, Gladys set of to do what she loved to do; cooking. She began working with the community at McAuley House for 60 years as a Chef. She was a loving mother to Brenda Troublesfield and grandmother and great grandmother to the late Tonnette Perry. Mrs. Gladys Hall left behind to cherish her memories her great granddaughters Tavonn, Toni-Ellen, Toni-Ann, great grandsons, Terrell, Troy and great-great grandchildren Aja-Nei, Amaya, Jaiden, Brie Perry and many other family and friends. She will be greatly missed by the community.